QUITE RECENTLY IN ACCRA, GHANA, a member of parliament, Mr. Kennedy Agyapong circulated photographs of undercover journalist Ahmed Hussein-Suale, who was later shot dead by unidentified men on motorbikes. AUTHORITIES IN GHANA are convinced that Mr. Hussein-Suale, a member of famed Ghanaian journalist Anas Aremeyaw Anas’ Tiger Eye Private Investigations, was murdered earlier in January because of his work. THE TEAM HAD recently uncovered massive corruption in Ghana’s football league last year. Mr. Agyapong, shortly after the scandal went on television to reveal Mr Hussein-Suale’s identity and had called for people to beat him up. IN RECENT DAYS, there have been similar threats meted against several prominent figures in Liberia considered critics of the ruling Coalition for Democratic Change(CDC) headed by football legend George Manneh Weah. ANOTHER POSTER went as far as telling talk show host Henry Costa who has been using his platform to call for a protest, that he would be hunted and killed if he showed his face in Liberia. MR. ABRAHAM DARIUS DILLON, administrator of the Darius Dillon Center for Intellectual Exchange posted that he too has been receiving threats of late over his critical views against the government. IRONICALLY, PRESIDENT WEAH, who has repeated assured Liberians that their rights and liberties will be respected, has remained quiet amid numerous threats on social media from members of his administration. THE PRESIDENT CITED the more than seventy privately owned (70) radio and television stations with over 40 newspapers operating in the country as a sign of a vibrant press, even as the government continues to keep talk show host Patrick Honnah’s Punch FM off the air. THROUGH IT ALL, the President maintains that the media is a fundamental pillar of Liberia’s democracy. WHILE WE APPLAUD the President’s assurances, we urge him to go a bit more further by condemning acts of immaturity and muzzling of the press and free speech by those within his ranks. THE CONSTITUTION provides for freedoms of speech and the press but too often we are seeing those rights trampled on by those in authority despite expressions of support for media and speech-friendly environment. FURTHERMORE, Liberia is a signatory of the International Covenant on Civil and Political Rights, the International Covenant on Economic, Social and Cultural Rights, the International Convention on the Elimination of All Forms of Racial Discrimination, the Convention on the Elimination of All Forms of Discrimination against Women, the Convention against Torture and Other Cruel, Inhuman or Degrading Treatment or Punishment, and the Convention on the Rights of the Child. 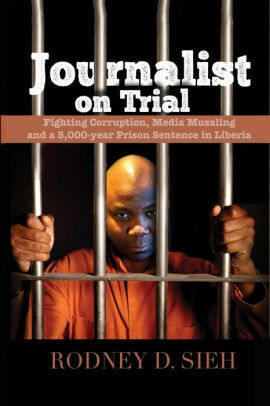 WHAT IS UNFORTUNATE is that despite having memberships in all of these international organizations, Liberia remains deeply saddled with an environment that continues to shun free expression and governments repeatedly unfriendly and intolerable to the press and criticisms. PRESIDENT WEAH owes it to those who believed in his cause from the moment he decided to enter the rugged jungle of Liberian politics, to begin to show leadership by condemning those within his ranks who repeatedly use social media platforms to trample free speech, criticisms and the press. THE SAD testament to all of this is that the current ruling party was very vocal against the past government of President Ellen Johnson-Sirleaf, the totted caskets, called her names and took to the streets in protests, sometimes violently. IT IS SAD that the very things this group fought against in the past, they are implementing to the core, and stepping on their critics along the way. LIBERIA, AFRICA’S oldest republic should by now, after more than a decade of war, countless military coup d’etats and periods of uncertainty, be in the driver’s seat, leading the charge for a free and open society in Africa, where freedom of expression and tolerance is embraced by government and not condemned and threatened by the powers that be and supporters obsessed with sycophancy and dangerously intolerant to the views of others.